Summer in Britain is synonymous with BBQs. With the little sun that we usually get, we really have to make the most of it. What better way than to invite over friends and family for some good food. Most people when they think of BBQs think of different types of meat, making vegetarian BBQ food ideas a little difficult. Still, at home, we've been doing a veggie BBQ for many years now which always gets the whole family excited. It's great to get everyone in the house involved in preparing various parts of the BBQ meal. Mostly, our dish of choice is always a type of veggie burger, cassava and sweetcorn. 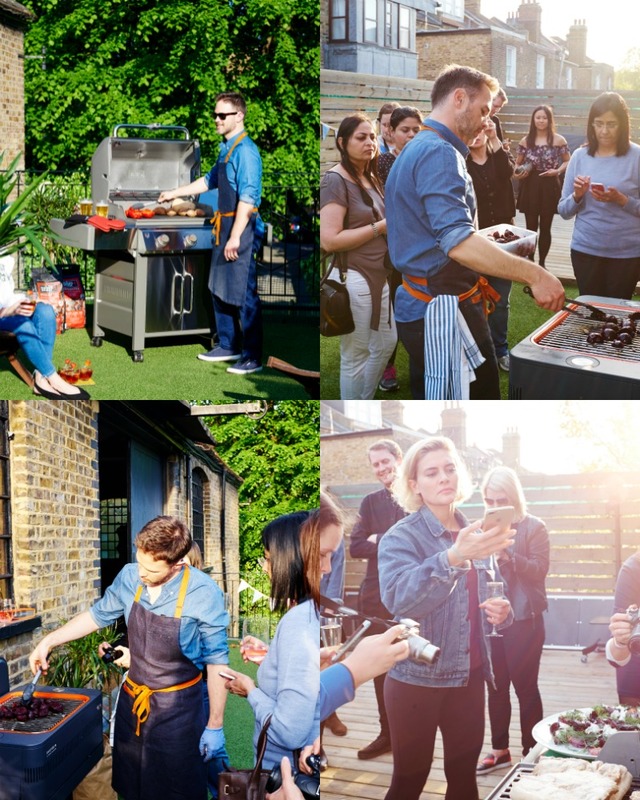 What we needed was a BBQ spruce-up, so I was really excited when I was invited by John Lewis to attend their recent BBQ event. We are all great fans of John Lewis and Waitrose at home, and always eagerly awaiting the release of their monthly food magazine! 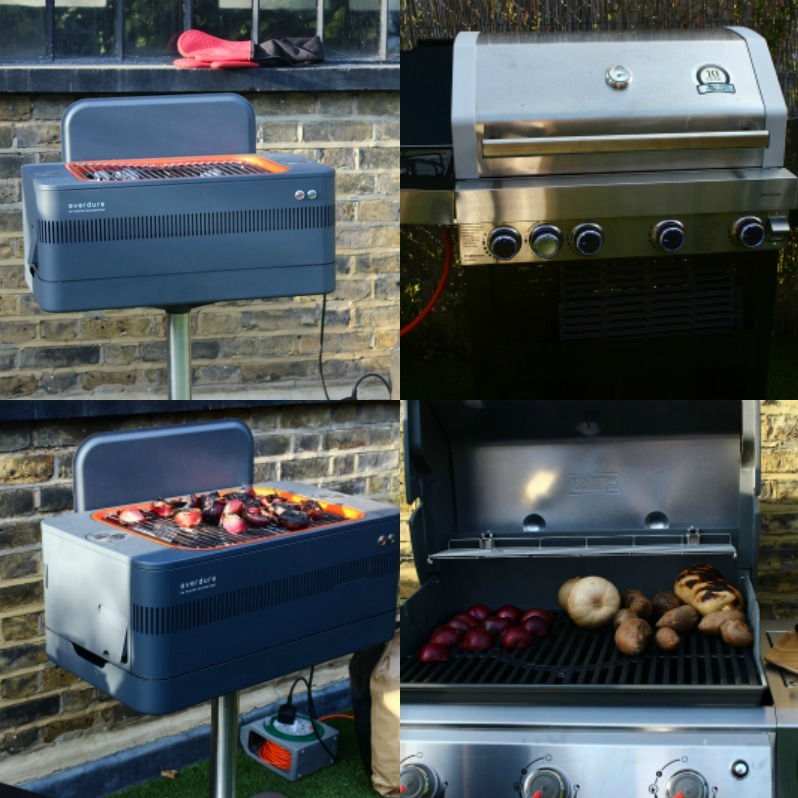 The event was held at Brunswick studios in Kilburn and was primarily to get a chance to test out John Lewis's range of electric and gas barbeques. including the exclusive-to-JL Fusion Electric, designed by Heston Blumenthal. 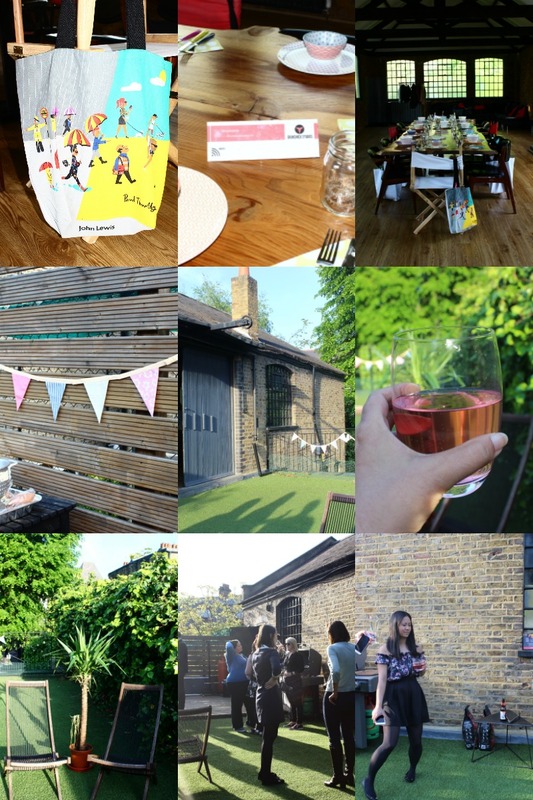 Luckily the evening was perfect for the BBQ event given that the sun was shining down and every party guest was in a great mood all evening. Ed Smith, a chef and food writer from Rocket and Squash showed us the way around a barbeque. We enjoyed watching Ed chargrill many different vegetables to create some truly wonderful vegetarian dishes such as beetroot and red onions served with a dill and feta dressing and chargrilled leeks with spring onions and butternut squash and sweet potato. Oh, did I tell you that the romesco sauce served with leeks and spring onion was spoon-licking good? This flavourful sauce was made with chargrilled red pepper and almonds. Watch this space, because I too want to whip up this sauce in the JCO kitchen :) The chargrill process brought out spectacular flavours in all of the ingredients. For non-vegetarians there were plenty of options. Ed showed us how to prepare delicious recipes, but simple to execute to please a large crowd. Next, it was our turn to get hands on. 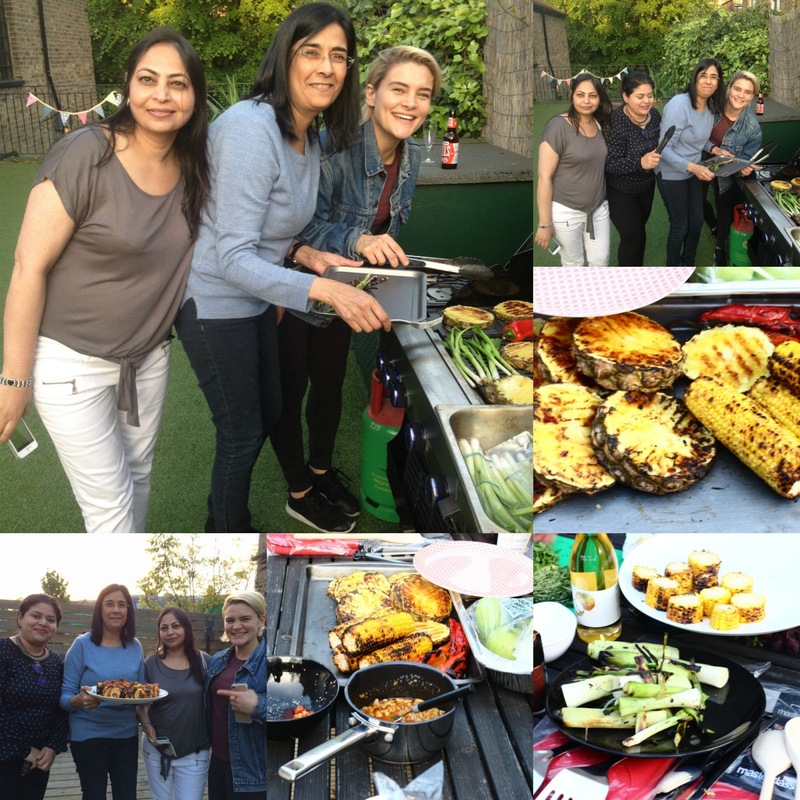 The group was split into non-vegetarians and vegetarians and challenged to produce some BBQ dishes using the ingredients that were provided. 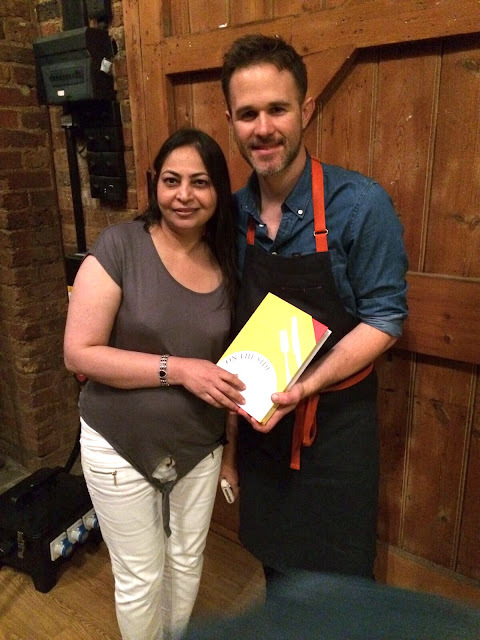 In my group where we were concentrating on preparing vegetarian dishes, I had Nayna from simply.food, Manjiri from travelsfortaste and Lisa Moore. Between us, we made Barbecued Sweetcorn with Roasted Pepper and Mint Salsa and Smoky-n-Crunchy BBQ Pineapple. These dishes were then photographed by Charlie Richards, who photographs for both John Lewis and Waitrose magazine. Even though everyone was positively stuffed, a dessert of baked apple with Waitrose's Madagascan vanilla ice cream could not be missed! After we devoured the various dishes, we were generously given signed copies of Ed's book, "On the Side" which contains a volume of around 140 recipes of side dishes to choose from. 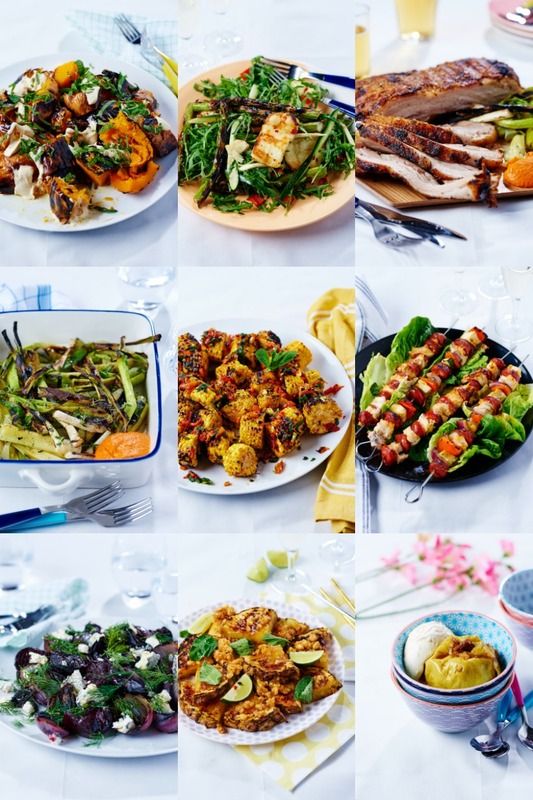 I'm now fervently awaiting our next BBQ at home so that I can try out all of these new dishes with the family! I'm certain that they will approve! Thank you to John Lewis for the invite. All views expressed are my own.